UnLtd India is a launchpad for social startups. As an Incubation Associate, I coached 10+ social entrepreneurs through the development of their ventures. delivered group trainings and managed the selection process over 2.5 years. 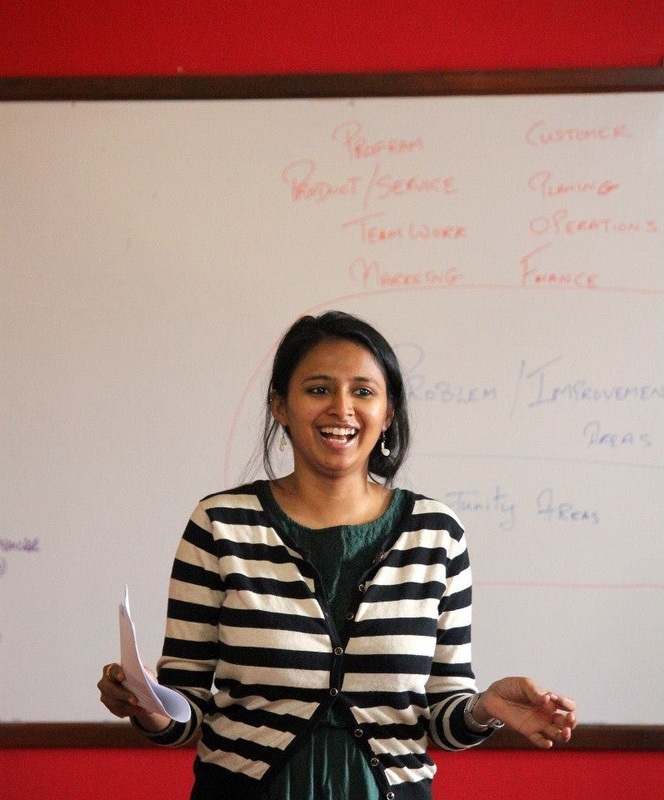 One-on-one business coaching is the key foundation of the incubation program. Every fellow selected into the program is assigned with an Associate who is their point of contact at the organisation. The associate meets with each fellow in person once a month (often more than that) to discuss obstacles and to ensure the project is on track. As the person aware of the current situation of each fellow, the associate makes connections to relevant experts in the UnLtd India network and plan workshops to address current challenges that are faced by the cohort. 3 fellows graduated from ideation stage to growth stage in a year. EcoAd – EcoAd is a social business that replaces plastic bags with reused newspaper bags made by underprivileged women. These bags are priced competently by providing advertisement space to local businesses. Hands-on help was provided to the founding team to bring in more advertisers, allowing the business to expand. At the beginning of engagement, the aim was to quickly prototype and arrive at a business model that can be scaled. Coaching was focused on staying on course (with the prototyping and the fine-tuning) and leveraging the right partnership opportunities. "What sets Aparna apart is the capability to truly empathise with the challenges, listen and understand the issues in depth and then come-up with a highly specific and relevant support. Initially, I was not even sure where I need help, but she would listen to all our long stories and understand our needs. She often surprises you with the way she would extend her support and come out of her comfort zone to help. She actually joined me for sales calls! " ​We conducted a host of workshops - of varying lengths, topics and formats - to support the journey of social startups. A 3 day workshop would often feature Masterclasses, Q&A session with experts, skills training, peer learning and activities. The aim of the group trainings were to teach fundamental skills of entrepreneurship by through experiential methods provide a new perspective. As an early stage entrepreneur, it is important to test a variety of solutions first before zooming in on a particular method to fine tune it. It is easy understands that in theory, but is harder to practice as we quickly become biased to the features of some ideas over the others. So how do you teach important principles of rapid prototyping in practice? Marshmellow Challenge is a fun group exercise that help participants experience profound lessons in innovation and collaboration. This is an activity that can be done by a group of entrepreneurs or a pre-existing team. All groups have a simple goal, to build the tallest free standing structure with some basic material in 18 minutes. Seemingly simple, the exercise gets more challenging as time flows. The groups who spend more time discussing than building often find that their structures collapse, with little time left on the clock. During the debriefing session, the groups learn from each others' processes and find ways to apply it in their ventures. The bi-annual selections involve screening 70+ organisations to select 20 organisations with potential for high impact and a strong commitment to deliver. Over a 10 week period, we shortlist the applicants, arrange mock panels to sharpen their presentation skills, engage senior management from social and corporate sectors to determine the founding teams that will receive a one year support program. ​The process ensures that we add value to even the applicants who didn’t get shortlisted, by giving them tangible next steps and strategic connections, wherever relevant. We also track the improvements, feedbacks and concerns with shortlisted applicants very closely to assess their openness to work with us. Since the project was handed to me, I identified the gaps, introduced new tools and streamlined the processes. Once finalised, I developed a selection kit detailing the end to end process and trained the rest of the team to use the new system. I maintained relationships with stakeholders on a regular basis by incorporating their feedback, sending them updates on our selection process and connecting them to applicants that they were interested in supporting.